SteelCraft 3" Black Powder Coated Bull Bar for 2012 - 2019 ***Nissan NV *Free Shipping! 3" Black Semi Gloss Steel Bull Bar for 2012 - 2019 Nissan NV Van. *** Will interfere with front sensors if so equipped. See instructions for details. Does not fit Nissan NV 200. 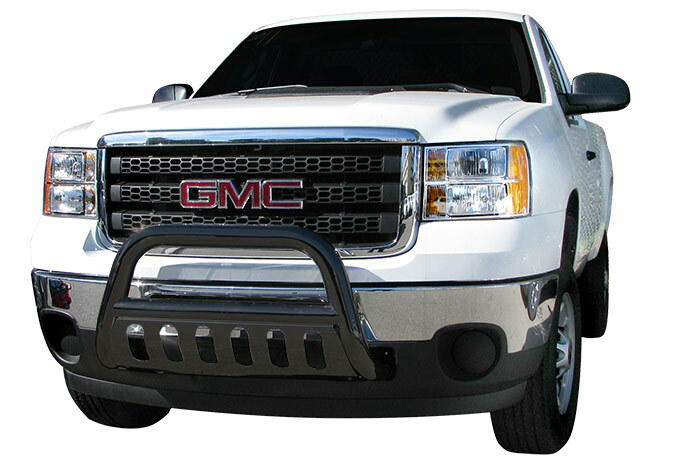 Steelcraft Bull Bars are skillfully constructed with high quality 3" diameter tubing and are available in black eCoat powder coat finish. The integrated skid plate provides additional style and protection for your truck or SUV. Installation is simple and requires no cutting or drilling on most vehicles. Usually ships within 1 week of order. *Shipping cost included to US 48 contiguous states. Not available to ship to Hawaii, Alaska, or Canada.